Richmond is in a panic. For the fourth time in eighteen months, a young girl or woman has been brutalized and murdered. This time, the body of a fourteen-year-old is found in Richmond's Shockoe Bottom train station. On her ankle is the same perversely cartoonish tattoo that has led the cops and newspapers to dub the perpetrator the Tweety Bird killer. When Willie Black finds out that the night security guy at the station was lured away from his post by a phone call from Willie's daughter just before the body was dumped, the story gets weirder and a lot more personal. 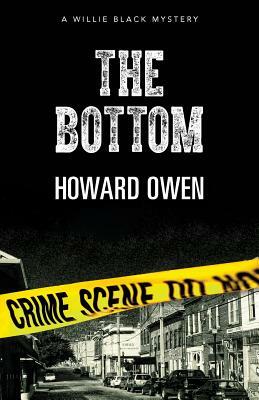 In The Bottom, the fourth Willie Black mystery to follow Oregon Hill (winner of the 2012 Hammett Prize), Richmond's nosiest newspaperman, true to form, chases the story like a bulldog going after a pork chop. But once he's caught it, he'll wish he hadn't.